Brenham-based Blue Bell Creameries has agreed to pay a $175,000 fine following last year's Listeria outbreak that sickened 10 and was linked to three deaths. The total fine revealed Friday by The Texas Department of State Health Services was $850,000, but $675,000 of that fine will not have to be paid if the company follows the terms outlined in the agreement with the DSHS for 18 months. The $175,000 portion of the fine is due within 30 days. 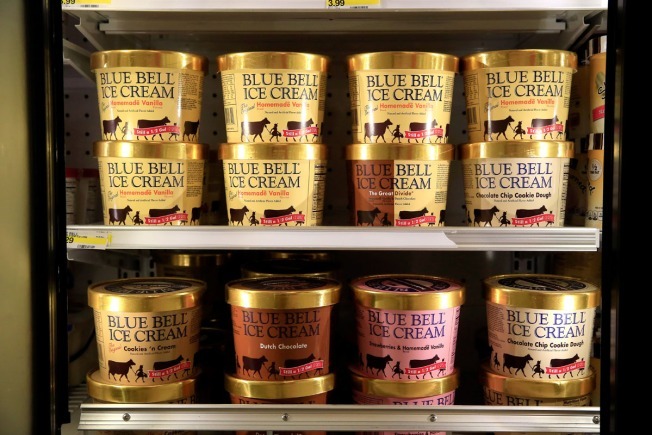 The state health department said the penalty was issued because Blue Bell "allowed adulterated product to enter the marketplace and cause illness." As part of the agreement, "Blue Bell must continue to notify DSHS of any presumptive positive test results for Listeria monocytogenes in ice cream, ingredients, food surfaces, machinery and other equipment in its Brenham plant. The company must maintain its 'test and hold' procedures for all finished product, meaning ice cream must be found to be free of pathogens before it can be sold to the public. As a licensed frozen dessert manufacturer, the company also must continue to provide state inspectors with full access to the plant to take samples." In April 2015 the company shut down operations at three facilities in Texas, Oklahoma and Alabama over the listeria contamination -- which was later believed to have been spread in equipment in Texas and through the drainage system in Oklahoma. "At the time, Texas health officials outlined requirements and milestones the company had to reach before releasing ice cream into the marketplace. State health inspectors periodically were on site at the Brenham plant to evaluate test results and records, review cleaning procedures and assess training activities," the DSHS said in a news release Friday. Blue Bell resumed operations producing, testing and selling ice cream made at all three plants, including the Brenham, Texas facility. The enforcement agreement is posted here.